Almost a decade after the beginning of operation " Enduring Freedom" (2001 - 2010), President Hamid Karzai and its Western backers have increasingly signaled their hope for a negotiated end to the war with the Taliban and its allies. In January 2010 more than 110,000 coalition troops are in Afghanistan, including some 70,000 Americans, struggling to turn the tide on an insurgency which killed record numbers of Afghan civilians and foreign troops in 2009. Despite the US military 'surge', Afghanistan is proving more challenging than Iraq. The commander of Nato forces in the Afghanistan general Stanley McChrystal, has said in an interview to the London Financial Times, he hoped increased troop levels would weaken the Taliban enough for them to accept a peace deal and bring an end to the war. "As a soldier, my personal feeling is that there's been enough fighting….I believe that a political solution to all conflicts is the inevitable outcome. And it's the right outcome….It's not my job to extend olive branches, but it is my job to help set conditions where people in the right positions can have options on the way forward," he said. On December 1, 2009. at the West Point military academy U.S. President Barack Obama has announced the US will add 30,000 troops to the 70,000 US troops already serve in Afghanistan and that U.S. troops will start withdrawing from Afghanistan in July 2011. President Karzai has said Afghan security forces will be prepared to start taking over security in some provinces a few months earlier. It is clear that in view of the growing costs, both human and monetary, and the US and the international coalition's frustration with the Afghan army and its incapacity to counter the insurgency's offensive, US aspirations there have grown far more modest. 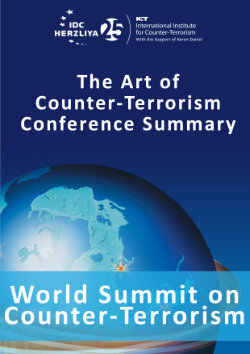 In January 2010 , leaders from 60 countries held a meeting in London to discuss the future of their strategy in Afghanistan and to find alternative strategies to the military escalation. The new approach includes two main components: " National Reconciliation" in Afghanistan and emphasis on regional solutions. The new approach is known as " Money for Arms" in which Taliban fighters lay down their arms for cash and reconcile with the government. It was announced that 500 million dollars is needed to fund this scheme. In the London conference on Afghanistan, Hamid Karzai, the Afghan president set the framework for dialogue with Taliban leaders when he called on the Taliban leadership to take part in a "loya jirga" (traditional large assembly of elders ) to initiate peace talks. Karzai's endorsement of talks in London does not represent a change of policy: he announced last year (2009), he planned to invite Taliban leaders to the peace conference, and has repeatedly emphasized his hope they would join talks. Under Karzai's proposal, the West would not be directly involved in peace talks. The call came amidst a diplomatic push from Western powers involved in the Afghanistan conflict to make hard plans that would pave the way for them to begin withdrawing their troops. Karzai won Western support at the London conference for a plan to offer money and jobs to persuade Taliban fighters and other armed groups to lay down their weapons. He has said there are "thousands and thousands and thousands" of moderate Taliban who needs to be reintegrated in the Afghan society. Washington and its allies would set up a fund to reintegrate Taliban fighters by luring them away from the insurgency with jobs and cash. As a part of the "National Reconciliation" program Karzai has been pushing for Taliban names to be removed from the Terrorist sanctions list of the U.N and U.S and rose the issue at London conference. The UN blacklist was established under UN Security Council Resolution in 1999 for the purpose of overseeing implementation of sanctions imposed on Taliban-controlled Afghanistan for its support of Osama bin Laden's al-Qaeda network. Under the resolution, UN member states are required to impose sanctions on any individual or entity associated with al-Qaeda, bin Laden and/or the Taliban. The list contains about 500 names, including 142 linked to the Taliban. A Western diplomat said those removed from the list were now believed to be "moderate Taliban officials" with whom Karzai could start a dialogue. The United Nations Security Council responded to the Afghan president's request and a panel of the U.N Security Council has removed five senior Taliban officials from its sanctions list. The five were all members of the ousted Taliban government. Wakil Ahmed Muttawakil, the former Taliban foreign minister now taken off the list, called on the UN and the US to remove all the names on their blacklists. The other four ex-ministers removed from the UN list are Faiz Mohammad Faizan, Shams-US-Safa, Mohammad Musa, and Abdul Hakim. * On January 23-24 , 2009 ,Afghan officials had held a meeting in the Maldives with representatives of the group Hezb-e-Islami , an armed group believed to be fighting alongside the Taliban. "They [government representatives and Hezb-e-Islami ] decided to set up two delegations ... One will be headed by Hekmatyar's son and the other one will be headed by the deputy head of the peace and reconciliation commission. He will go and see President Karzai and Hekmatyar's son will go and see the Taliban." * A United Nations official told Reuters that the U.N. envoy to Afghanistan, Kai Eide, had met with members of the Taliban Quetta Shura in Dubai on January, 8 ,2009. Eide told Britain's BBC no meeting took place that day, but would not discuss meetings that may have happened on other dates. A U.N. spokesman in Kabul said: "as always the United Nations stands ready to assist in this process U.N.
* Washington and London are eager that Saudi Arabia play a more prominent role in reaching an agreement between Karzai government and the Taliban. Afghan President Hamid Karzai, left for Saudi Arabia on February 2 , 2010 ,to seek help from its king to reach a "National Reconciliation" agreement with the Taliban. Saudi Arabia, was one of only three countries that recognized the Taliban regime while the Taliban were in power (1994 – 2001). Before Karzai's visit in Saudi Arabia, Dr Ashraf Ghani, the former finance minister of Afghanistan, has told Al Jazeera that reconciliation talks with the Taliban are under way. "There are people [doing] mediaton in the kingdom of Saudi Arabia and his majesty the King of Saudi Arabia has been involved and others have been involved," he said. Since the occupation of Afghanistan by the coalition forces (2002) , Al Qaeda's network remained the Taliban's most potent strategic partner in its fight against the Karzai's government and its Western allies. In the last months ( 2009 – 2010), al-Qaeda has spearheaded certain Taliban offensives and tried to bridge and coordinate between the various Talibans, notably the Afghan and Pakistani groups. During 2008 -2009 the Taliban forces gained control over several provinces in the Southern part of Afghanistan and reportedly opened new fronts in the northern regions. They introduced their version of security and justice to these regions, like a parallel government. In the country's south, suicide attackers launched an assault in Lashkar Gah the capital of Helmand, Afghanistan's most violent province, and gunmen were holed up in a building battling government and NATO troops who returned fire with helicopter strikes. Taliban spokesman said that seven suicide bombers were involved in the attack at three different locations in the city. In response to Karzai proposal a Taliban commander told Al Jazeera that no member of the group would be prepared to take part in talks if they were required to disarm first. "I confirm that none of us will lay down arms even if he is paid mountains of money; none of us would abandon the right path," Doran Safi, a commander in the east of the country, said. The Afghan Taliban has rejected the offer of Hamid Karzai, Afghanistan's president, to get fighters to reconcile with the government. In a statement posted on the Taliban's alemarah.info website , the group called the attempt "futile" and "farcical", but said it was open to talks to achieve its goal of an Islamic state. "This is not the first time that the Kabul regime and the invading countries want to throw dust into the eyes of the public of the world by announcing reconciliation in words and, in practice, make preparation for war," the statement said. "Similarly, they put forward conditions, which are tantamount to escalating the war rather than ending it." The statement listed the Taliban's goals, including complete independence of Afghanistan and the establishment of an Islamic system. "Our first priority is to achieve these goals through talks and negotiation," it said. "But if the invading powers in Afghanistan are not ready to give the Afghans their natural rights ... then the Mujahideen of the Islamic Emirate are determined to carry on the fight until the realisation of the said goals." The Taliban has no global ambition and it's main objective is to rule Afghanistan according to its version of the Islamic Sharia . This goal can be achieved either by violent confrontation or as a part of the "National Reconciliation." Previous contacts between the government and Taliban representatives have made little progress, and resulted only in the surrender of some low-ranking militant fighters. The Taliban are unlikely to offer concessions while they feel they are winning the war. The Taliban consistently demand that all Western forces must withdraw from Afghanistan before they will agree to talks. President Karzai rejected that precondition, saying the Taliban should help make peace first so that the coalition troops can leave. The main problem for the U.S and Karzai would be how to guarantee the survival of the democratic model of the regime after the withdrawal of the coalition forces from Afghanistan. Other Taliban demands: the release of all the prisoners and the removal of all Taliban leaders from blacklists, are rejected, so far by the U.S. , but can be accepted in future. Reconciliation with the Taliban would amount to acquiescence in the Taliban's political ascendancy and control in the areas where they are currently active. Such an agreement can lead to a renewed ethnic conflict with the Tajiks and other non-Pushtun minorities. The US thus far failed to sift the Taliban into so-called moderates vs radicals and to separate the Taliban from al-Qaeda . At the same time that president Karzai offered " National Reconciliation", Nato announced that thousands of Afghan and foreign troops launched the largest offensive in southern Afghanistan since the 2001 US-led invasion. The target of the operation is the Marjah area, a stronghold of Taliban fighters. Marjah is also thought to be the hub of the Taliban-controlled opium trade - which provides them with most of their funding. The Afghan president has consistently made overtures to the Taliban, and the West has been increasingly supportive of proposals to lure fighters back into the political process in a bid to end years of fighting. The current strategy of Nato in Afghanistan is a combination of military pressure and political option. The US has to win the war against Al Qaeda in Afghanistan or at list to withdraw as a part of a comprehensive agreement that will stabilize the situation in Afghanistan and in the region. A failure of the U.S and the coalition would have a far-reaching psychological and political impact on Islamist movements in the region and elsewhere with strategic ramifications for US interests and its role as a super power. For the US and its coalition partners, the main objective is al-Qaeda's isolation and defeat. As a part of the "National Reconciliation" agreement the U.S can compromise and allow the Taliban to impose its rule and the US would be able to declare victory against al-Qaeda and withdraw the troops from Afghanistan. Mcchrystal hopes for Taliban deal, Al Jazeera, January, 25, 2010. Taliban say no decision yet on Karzai offer of talks, asharq alawsat, January 29, 2010. Plan considered to buy off, Al Jazeera, January 27, 2010. Ali Ibrahim, Money for arms, asharq alawsat, February 4, 2010. Robert Grenier, Making roomfor the Taliban, Al Jazeera, January 28, 2010. Afghan talks open in London ,Al Jazeera, January 28, 2010. Afghan leader seeks Saudi help on peace talks, asharq alawsat, February 4, 2010. Saudi's ' mediating Taliban talks' Al Jazeera, January 30, 2010. Marwan Bishara, Tangoing with the Taliban, Al Jazeera, February 2, 2010. Taliban's attack in Lashkar bah, Al Jazeera, January 30,2010. Saudis mediating Taliban, Al Jazeera, January 30, 2010. Taliban rejects Karzai's offer ,Al Jazeera, February 7, 2010.